Finding a stroller that fits your personal needs is not an easy task, especially when it comes to traveling. Who wants to lug that big ol’ stroller around a busy airport only to have to fold it back up once you’re ready to catch your flight? I know I don’t! And how aggravating is it to have a stroller take up half the room in the trunk meaning that you’re going to have to pack a few less pairs of shoes. Definitely not me. We are the (proud) owners of a Hyundai Sonata. Which is great on gas mileage for our many roadtrips … but not so great when it comes to week long vacations that require extra packing, and of course a stroller for the toddler. Luckily after reviewing two very different … yet equally awesome strollers … I’ve found a solution to not only the airport dilemma, but also the trunk space/shoe dilemma. First up is the QuickSmart Easy Fold Stroller. Not only is this stroller compact … but it’s easy to fold as well. Upon pulling the stroller out of the box, my husband literally flicked his wrist and Voila! We had ourselves a stroller. Which means, no assembly is needed. It even comes with it’s own carrying case to throw over your shoulder. At a little over 15lbs, it’s lightweight and can easily be lifted with one hand. The two front wheels are close together and swivel which makes it very easy to maneuver and steer. 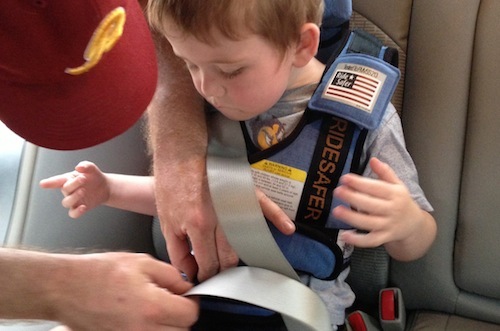 If the little one falls asleep, just undo the two buckles in the back and recline the stroller. It’s as easy as that. Obviously the stroller is modern and sleek but what’s most important is safety, reliability, and convenience. 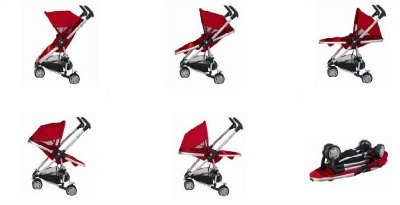 The QuickSmart Easy Fold Stroller is all of these and more. 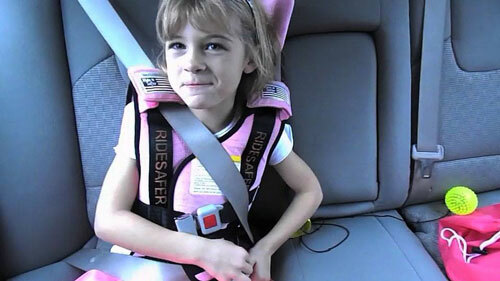 With the five-point harness, I don’t have to worry about my little guy escaping or falling out and with the dual rear brakes, I also don’t have to worry about him rolling down a hill if I stop for a moment. It’s age grade is 6+ months and the weight limit is up to 45 lb., which means my 38lb four-year-old can take a ride if he gets tired of walking. And as I said earlier, the stroller is very easy to use. Again, with a flick of the wrist, the stroller is set up. With a flip of a switch, and a push on the stroller, it’s folded back up. And Mom doesn’t have to worry about a broken fingernail again. If I had to point out ONE thing to downplay about the stroller … which is really not a big deal at all … it’s the undercarriage basket. It’s pretty small and only big enough to fit a travel pack of wipes, and a few diapers, but as I said, it’s not a big deal. But if it is for you, QuickSmart has a detachable caddy for separate purchase should you decide that wouldmake your life easier. 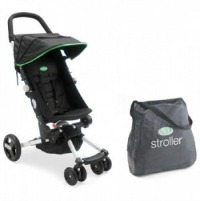 In addition to the caddy, separate accessories for the Easy Fold Stroller include: a comfort pack which includes seat inserts and shoulder pads, a foot muff for the Winter months, a weather-resistant and wind breaker boot cover, and a weather shield for rainy days. To find out where to purchase the stroller as well as other QuickSmart products, check out their website here. Next swanky travel stroller is the Quinny Zapp Xtra. Like the QuickSmart, the Quinny stroller is also compact and easy to fold. As a frequent traveler with a toddler, I have to have something I can steer with my knee or with one hand. Why? Because my other hand is either pointing, picking up dropped sippy cups, reaching in the diaper bag for a binky, and/or opening a door. The quick and smooth maneuverability of this stroller lets me easily steer with one hand while keeping my other hand free. Assembly was extremely easy. The wheels popped on, and with very little assistance from my manly man husband, the Quinny Zapp was assembled and ready to roll. The reversible and reclining seat allows little ones to be comfortable and at ease while on the go wherever you are and it even comes with the Maxi-Cosi Prezi® or Mico® infant car seats when attaching the adapters for the babies. It has a sleek and attractive, eye-catching design. We received the red one – which we LOVE! It’s an ideal travel system that can be used from birth when combined with the Maxi-Cosi Prezi® or Mico® infant car seats (adapters included). It’s perfect for taking along wherever you go. For a walk, in a car, train, or on an airplane. The highly maneuverable front wheels can rotate 360 degrees and are lockable with a push of a pedal. Not enough? A travel bag, cup holder, footmuff, weathershield, and multi-model adapter can all be purchased separately. Like the QuickSmart, the Quinny also has a smaller sized undercarriage basket. But I guess that’s something you have to sacrifice for a compact fold – which I think is a HUGE plus for traveling moms and dads. If I had to choose ONE feature that I like best about the Quinny Zapp Xtra, I’d have to say the convenience of the stroller and how compact it folds and how easy it is to use. To find out where to purchase this stroller as well as other Quinny products, check out their website here. As I stated earlier, we’re BIG travelers with our kids. 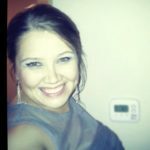 I’ve never been a leash kind of mom (although after having my second child, I’ve started to reconsider that opinion). So for us, a stroller has become a requirement – not just a want. And I need the best of the best. But I can’t choose between these two strollers. They’re both equally amazing, and modern, and cool. But if you’re in the market for one … now you’re going to have to. Whichever one you go with … you’re not going to be disappointed! OR … you can try to win ANOTHER awesome travel, the BRITAX B-Ready Stroller, during our Twitter party tonight, October 22, 2012. For more information and to RSVP, click here. **Disclaimer: I was provided the strollers mentioned above for review purposes only and was not compensated for my post. As always, my honest opinions are my own and I am currently still trying to figure out which stroller to use on our next outing.